Using our setup wizard, you can be setup and ready to begin data import in mere minutes! If you have a brand new QuickBooks Online account without any transactions and want to use our Setup Wizard, click on "I do not have transactions in QuickBooks Online." 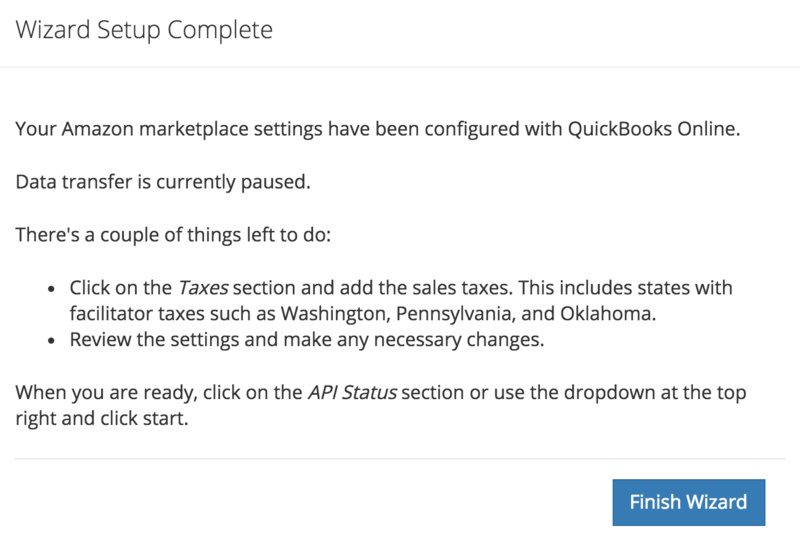 If you have transactions, click on "I have transactions in QuickBooks Online" to manually configure SellerZen. Click on Proceed. 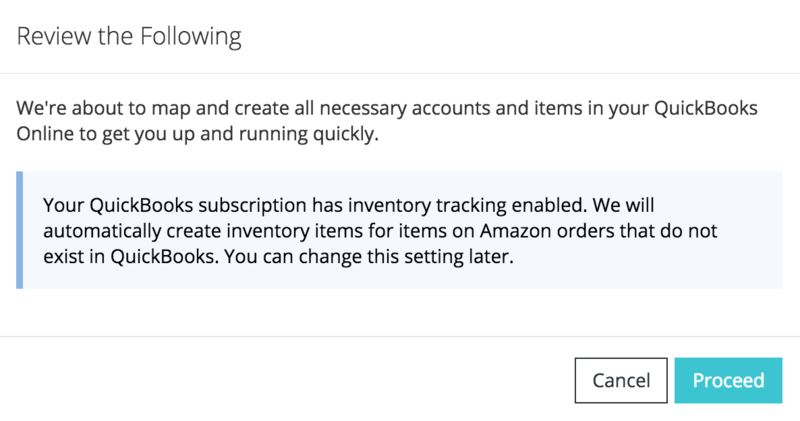 If you don't have inventory tracking, then we'll create a non-inventory item to map all of your Amazon inventory. Once the Wizard is complete, click on Finish Wizard. Review the default settings on each tab. You'll want to configure sales tax if you're required to collect sales tax. If you're using FBA, you'll want to set up the Marketplace Sales Tax as well. Click below to read more. Review the settings and make any changes. What states do I add for Amazon's Marketplace Tax? 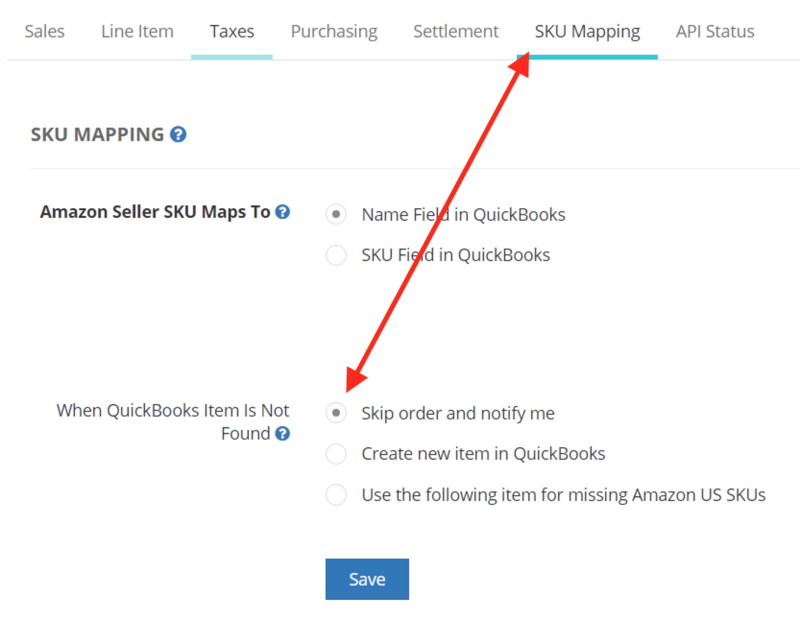 Under the SKU Mapping tab, we have the "Skip order and notify me" option selected by default. If you want us to create the item, select that option. Review the settings on the Tabs. You can go to QuickBooks Online and change any of the default account, service item, or bank account names you want. We recommend you change the default Amazon Bank Account we created. You can find this through the "Accounting" link on the left menu in QuickBooks Online. Afterwards, click on the "API Status" tab and click on "Start" to complete your SellerZen setup and begin data import.